Standing at only 4-foot-5, Jahmani “Hot Shot” Swanson joins the world-famous Harlem Globetrotters as part of the team’s 2018 rookie class. 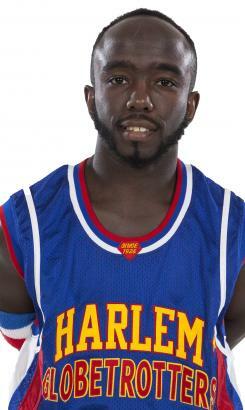 The Harlem native will take the court as the shortest Globetrotter ever when the team brings eight games to the New York City area from Dec. 26-31, as part of their new “Amazing Feats of Basketball” world tour. Swanson sent waves through the internet by captivating thousands of fans, celebrities and the Globetrotters with his amazing handles, lighting speed and agility on the court. Swanson has played – and won, one-on-one games against celebrities like Jamie Foxx and pro athletes like Terrell Owens. Swanson attended 6th through 10th grades at Wadleigh Secondary School on 114th Street and finished out his high school years at Louis D Brandeis High School. He played for Monroe College, a junior college in the Bronx, and played professionally with other touring exhibition teams. His pregame ritual includes netting a minimum of 50 jump shots. When he is not playing basketball, Swanson enjoys speaking with kids and encouraging them to follow their dreams. He has a passion for young people and sees himself becoming a social worker after his playing career to help families and children.